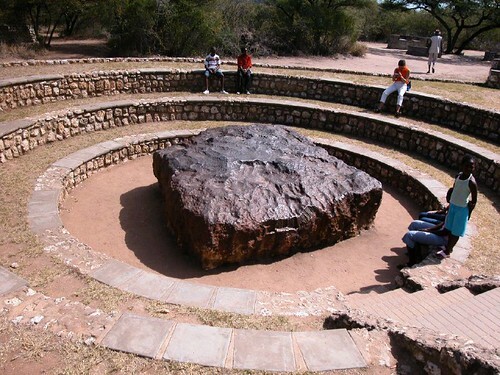 World's largest known, intact single piece meteorite lies at a farm near the town of Grootfontein, Namibia. 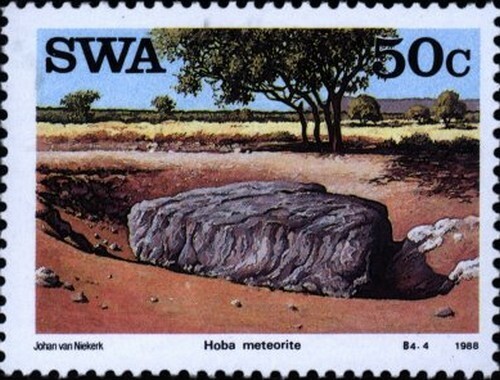 Known as Hoba Meteorite, it is estimated to have landed on Earth about 80,000 years ago. 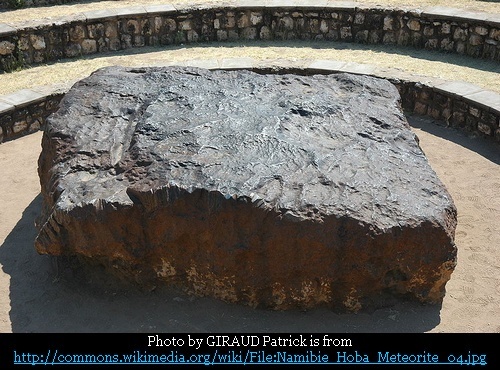 Weighing about 60 tons, it is also most massive naturally-occurring iron piece on the Earth. Geologist believe that because of its shape and likely low angle of entry, it may have skipped across the top of the atmosphere in the way a flat stone skips on water, which may may have slowed it down sufficiently and it fell to the surface at terminal velocity, thereby remaining intact and causing almost no crater. 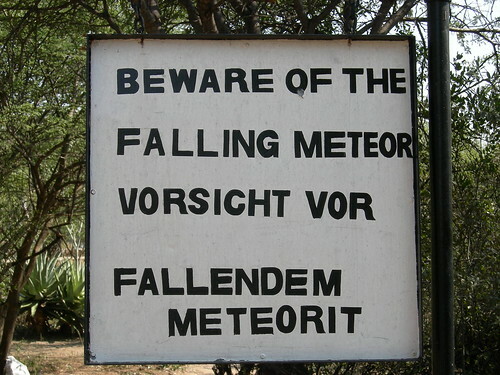 The meteorite has a base of about 2.9 x 2.9 metres and height of 0.9 meters. Its weight was originally estimated at 66 tons. However erosion, scientific sampling and vandalism have reduced its bulk over the years. The remaining mass is currently estimated at just over 60 tons. It is mainly composed of about 84% iron and 16% nickel, with traces of cobalt. Although it originally lay at a private farm but the Government with permission of owner have declared it a National Monument and have also provided access road and opened a tourist centre at the site. It is now visited by thousands of tourists every year.